Quite an eminent figure in the circles of leading diamond jewellers, Nirav Modi is now spotted as one of India’s biggest fraudsters. Name of this big-league diamond merchant has been doing rounds in the industry for showcasing exquisite craftsmanship. However, lately, this 48-year old billionaire is infamous for looting a huge amount of 280 crore rupees from India’s second largest government bank. Cherry on the cake – he and his family has been absconding from the country. Who is Nirav Modi and how did he grow into a star billionaire? Entitling him as an ace luxury diamond jewellery designer is appropriate. From celebs like Priyanka Chopra, Aishwarya Rai to Dakota Johnson, Sonam Kapoor, Kate Winslet, Margot Robbie and many more – you might have spotted several stars donning resplendent Modi pieces. Well, Nirav undeniably is well-known for his intricate designing attributes and to source eye-catching state-of-the-art pieces in the market. This man, notable to many has been ranked #57 in Forbes list of Billionaire’s 2017. Born in a well-to-do family of diamond merchants from Gujarat, he was raised in Antwerp, Belgium. Little did you know that the place is a flourishing hub in the line of diamond trade. He first kickstarted by setting up a diamond sourcing and trading company under the label Firestar Diamond. This was way back in the year 1999. 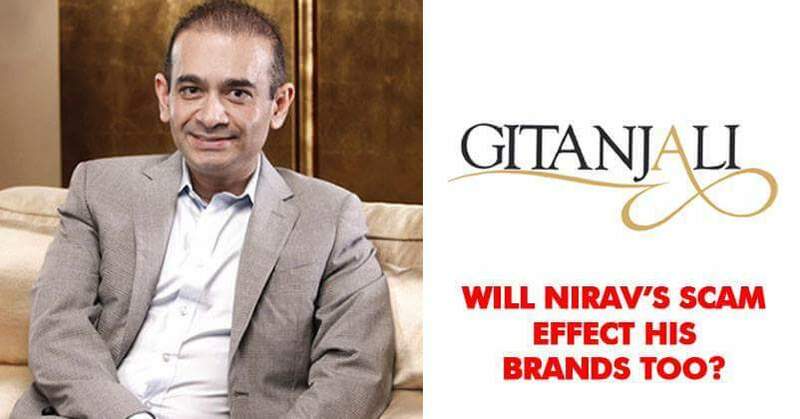 After being reckoned as a master in his trade, he launched a very exquisite brand, after his name ‘Nirav Modi’ in the year 2010. A little lesser than two good decades, his initial brand is already worth a burgeoning $2.3 billion. Isn’t that astonishing? Haven’t you spotted too many billboards and print ads sporting the sensational model of today, Lisa Hayden? Sure, you have! Infact, Priyanka Chopra stands out as an ambassador of this big brand. What’s the buzz? How has Nirav Modi swindled one of the most dependable banks in India? Diamond king and czar Nirav Modi and his family is allegedly reported to fraud Punjab National Bank. The CBI spills the beans that numerous letters of understanding (LoUs) has been rolled out in this big Rs 11,400 crore scam. Infact, a new-fangled case has been launched against Mehul Choksi for deceiving and flimflamming PNB on notes of Rs 4886.72 crore. A good number of 143 LoUs was issued and processed through the bank. Wondering who Choksi is? Well, he is the maternal uncle of Modi. The practice of rolling out LoUs money is now reckoned as a method to get them renewed. The question that springs up here is – how is it even possible to swindle banks in India and abroad for years? Think about it – every transaction wrapped up day-in-day-out at the end of business hours needs to be reported to the RBI. It is then the role of RBI to keep track and assure auditing of bank’s books and ledgers. No longer is it an era of labour-some book-keeping. Everything is computerized and performed in centralized servers. Even after such advanced mechanisms in use, how could the bank officials bankroll the frauds for these many years? Well, the software was certainly compromised. This also paves way for the CBI to probe all officials involved with the dealings of Modi and his companies.